Heavy Duty Trucks & Trailers | Dendoff Springs Ltd. 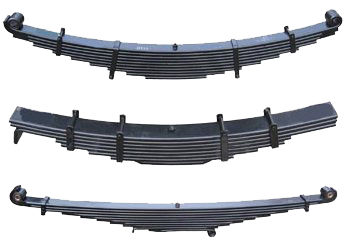 Throughout our long history, we have developed a reputation for supplying original (OEM) and aftermarket leaf springs for all range of trucks & trailers, and for manufacturing some of the largest springs ever built for the West Coast logging industry. If you need help finding the right leaf spring or even a suspension component for your heavy-duty truck or trailer, contact us. We have a good selection of in-stock springs and suspension components ready to order. If we don’t have it in stock, we will custom manufacture your item to your exacting specifications.